BRONX, New York (WABC) -- A 44-year-old Bronx man was arrested, accused of sexually assaulting a woman on the No. 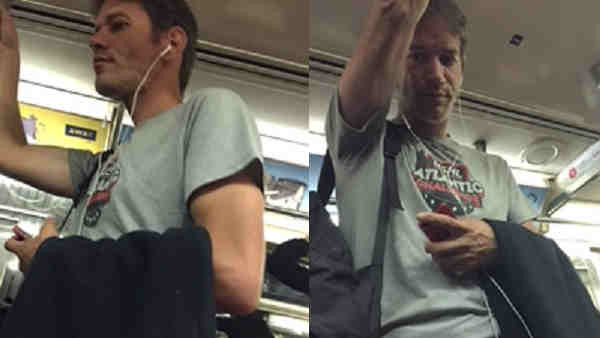 1 subway train, and he may have also groped her twin sister five years ago. Kenneth Jacobson, 44, of Bronx, is facing several charges, including forcible touching, harassment and sexual abuse. He is accused in at least five separate attacks. A 24-year-old woman claimed the man sexually assaulted her on the No. 1 train near the 66th Street station Sept. 19. According to the New York City Police Department, the victim's 18-year-old twin sister also believes the same man touched her at some point between 2011 and 2012 when she was 13. On Sept. 21, the same man groped an 18-year-old woman on a No. 1 train near the Times Square station, police said. The man was taken into custody by Manhattan Special Victims Squad Monday night.